Below is a Science fair project presented by a girl in a secondary school in Sussex. In it she took filtered water and divided it into two parts.The first part she heated to boiling in a pan on the stove, and the second part she heated to boiling in a microwave. 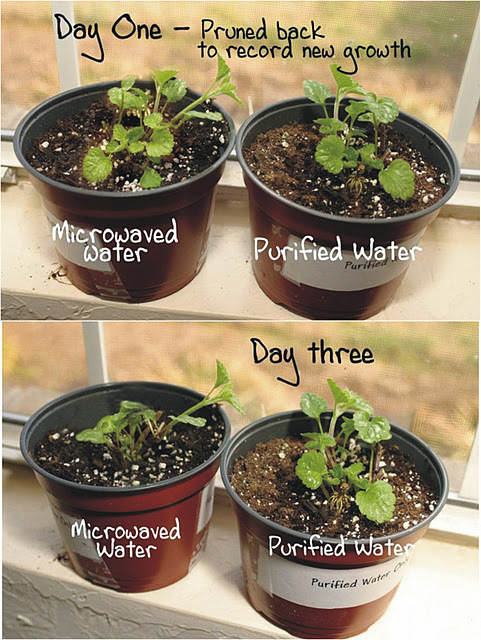 Then after cooling she used the water to water two identical plants to see if there would be any difference in the growth between the normal boiled water and the water boiled in a microwave. She was thinking that the structure or energy of the water may be compromised by microwave. It has been known for some years that the problem with microwaved anything is not the radiation people used to worry about, it's how it corrupts the DNA in the food so the body can not recognize it. 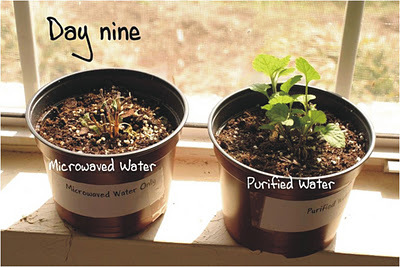 Microwaves don't work different ways on different substances. Whatever you put into the microwave suffers the same destructive process. Microwaves agitate the molecules to move faster and faster. This movement causes friction which denatures the original make-up of the substance. It results in destroyed vitamins, minerals, proteins and generates the new stuff called radiolytic compounds, things that are not found in nature. So the body wraps it in fat cells to protect itself from the dead food or it eliminates it fast. Think of all the Mothers heating up milk in these 'Safe' appliances. What about the nurse in Canada that warmed up blood for a transfusion patient and accidentally killed him when the blood went in dead. But the makers say it's safe. 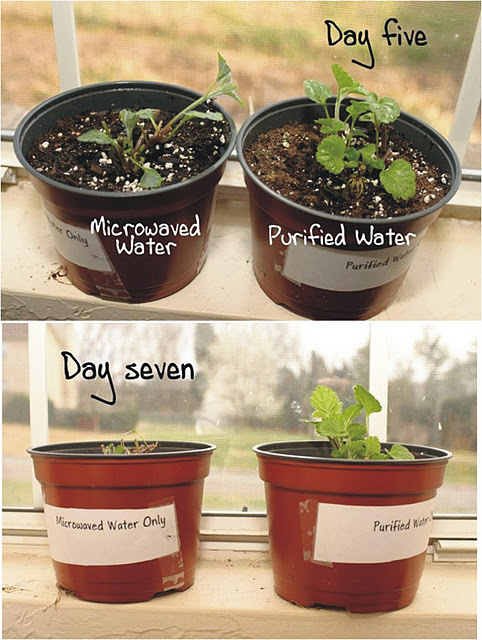 But proof is in the pictures of living plants dying!!! Continually eating food processed from a microwave oven causes long term - permanent - brain damage by 'shorting out' electrical impulses in the brain [de-polarizing or de-magnetizing the brain tissue]. 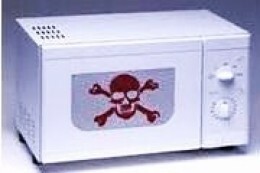 Microwaved foods cause stomach and intestinal cancerous growths [tumors]. This may explain the rapidly increased rate of colon cancer in UK and America.